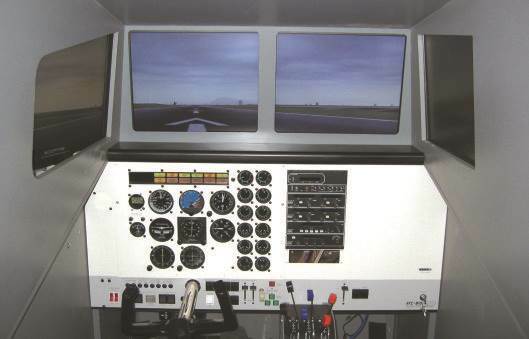 Flytech Aviation Academy utilizes leading edge computer-based, DGCA-approved, single and multi engine flight simulators throughout the advanced training programs for effective development of pilot knowledge and skills. 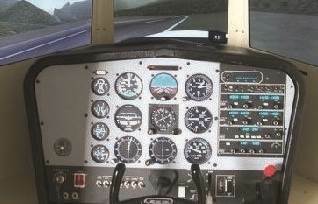 For both basic and advanced instrument training we use the ATC Instrument Training System(PCATD), the industry's leading computer aviation training device. With the ATC system we are capable of doubling the effective training a student receives. Our two computerized ATC flight simulator systems are located in special simulator rooms to provide an ideal environment for training. Our training packages utilize flight training courses and material from Jeppesen-Sanderson, the industry leader in integrated flight training courses.